Serpa Collision Centre > Uncategorized > News > Our parts and service department is offering some very special promotions: buy three tires and get the fourth free! And more! 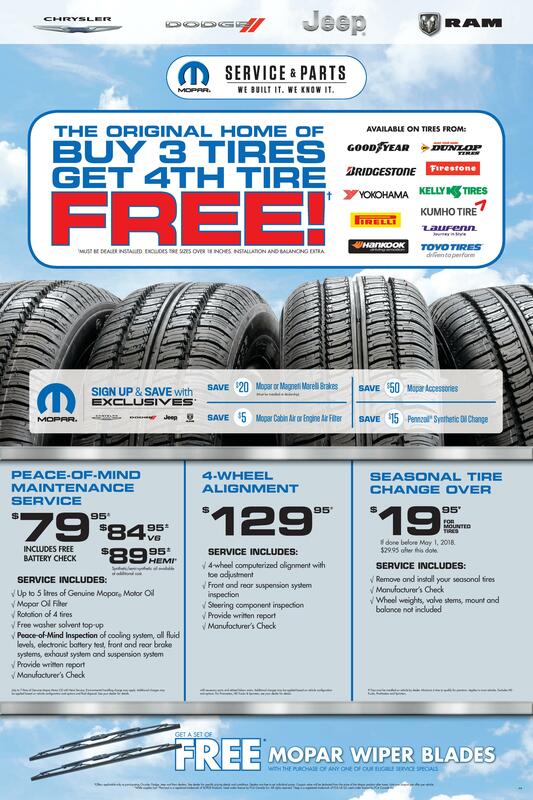 Our parts and service department is offering some very special promotions: buy three tires and get the fourth free! And more! When you are at the Collision Centre, we can also help with seasonal maintenance needs. 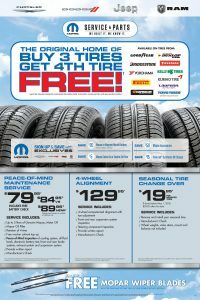 Our parts and service department is offering these specials: Buy three tires, and get the fourth free, maintenance and alignment services, tire changeover–and all come with free MoPar wiper blades. Give us a call!